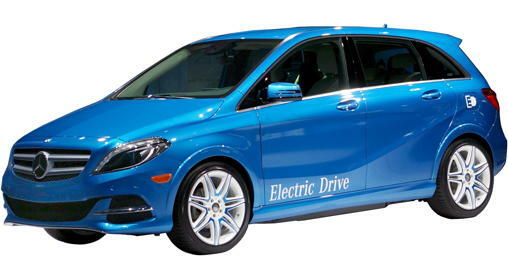 With a new name (previously the B-Class Electric Drive), the B-Class now has standard autonomous braking added to its collision warning system. On vacation until 2017 model released. 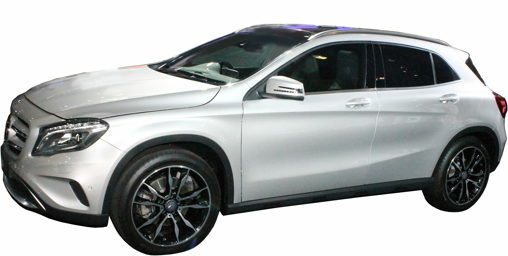 The 2015 model was last redesigned in 2012. When the sedan was redesigned for 2015 the coupe stayed the same for 2015. 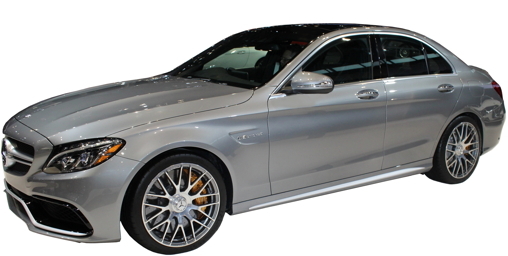 A new model: C450 AMG is positioned between the common C300 and the fire-breathing Mercedes-AMG C63. With 362 horsepower and 14.2-inch brakes it will be a nice compromise if you can't go over the $50K range. This model replaces last year's less powerful C400. C300 Sedan now offers optional heated steering wheel. Selective Damping is now optional on CLA250 and AMG CL45, which will adjust shock absorbers automatically to smooth out the ride without compromising handling. A Sport Package Plus includes a much sportier suspension, steering ratio, louder exhaust system and transmission tuning that is both quicker shifting and matches the engine RPM during downshifts. Collision Prevention Assist Plus is now standard, adding autonomous braking to the previously standard collision warning. A front limited slip differential is now optional on the AMG CLA45. 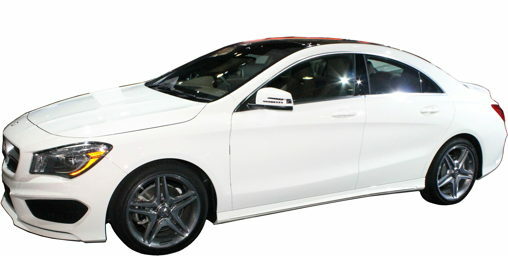 Horsepower is up for the CLA45: 375 horsepower keeps it the most powerful stock 4-cylinder engine, still, not that the extra 20 horses were needed for that. Nine-speed automatic now also standard on CLS550 4Matic. Last year only RWD CLS550. E400 Hybrid is dropped. 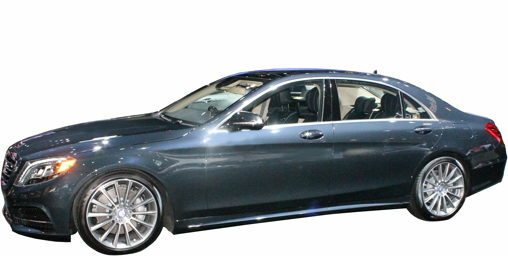 Non-"S" E63 Sedan dropped, leaving only the 577-horsepower model. A 4.0 twin-turbo V8 (cribbed from the engine in the AMG GT S) replaces the old 5.5-liter non-turbo V8. 34 more horsepower brings the total to 416. Torque is now 450 ft.-lbs., 59 more than the old engine. The AMG G63's 5.5 twin-turbo gets a boost in horsepower, up 27 for a total of 563. 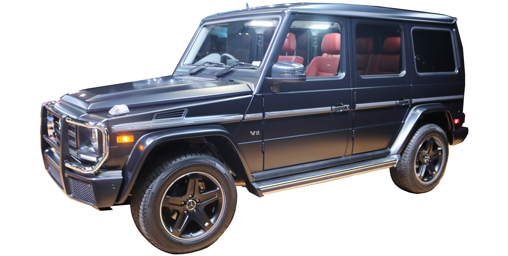 There's now a new top dog: Mercedes-AMG G65 gets the same twin-turbo V12 as the SL65 and S65. 621 horsepower makes this the most powerful sport utility, and the only one with a 12-cylinder engine. An adaptive suspension is now offered, allowing the shocks to electronically adjust to road conditions. Standard 19-inch wheels with larger tires replace last year's 18-inchers. Horsepower is up for the GLA45 by 20, for a total of 375, same as the CLA45. An optional adaptive AMG suspension with electronically adjusting shock absorbers is offered on GLA45, as is a front limited slip differential. Dual-zone automatic climate control is now standard. The standard passenger front seat now folds forward flat to form a table or desk for the driver to (hopefully) use when the vehicle is stopped. 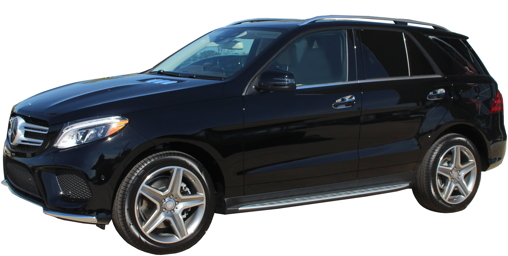 This replacement for the GLK offers only one engine, a turbocharged 4-cylinder borrowed from the C300; its paired with a new nine-speed automatic. 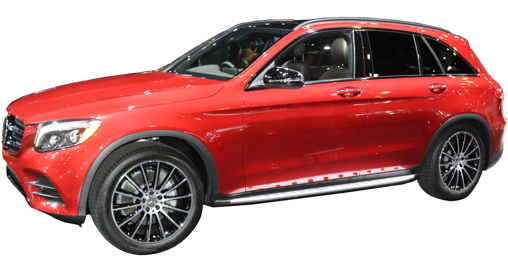 Offered in rear-wheel-drive and 4MATIC, the GLC-Class has an almost five-inch longer wheelbase, and a three-inch wider track than the GLK. There's more cargo room, too. Fuel mileage is much greater than the GLK's, of course. 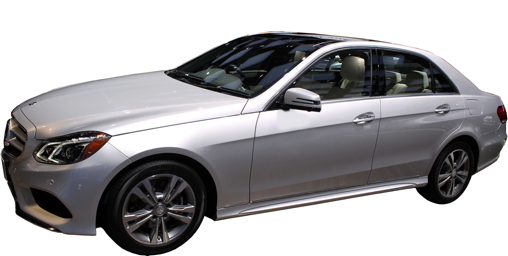 22 city/28 highway for the rear-wheel-drive model and 21 city/28 highway for 4MATIC. 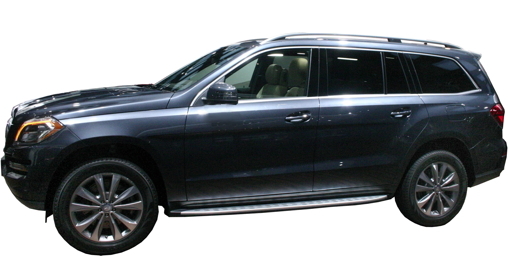 This is less than last year's GLK250 BlueTEC turbo diesel (24 city/33 highway). Another diesel will not immediately be offered. This replacement for the M-Class gets a split personality: GLE to mimic the old, conservative boxy M, and a new GLE Coupe to go head-to-head with the BMW X6 "Sports Activity Coupe." All of last year's engines return: GLE300d (previously ML250 BlueTEC), 2.1-liter turbo diesel 4-cylinder; GLE350 (Previously ML350) 3.5 V6; GLE400 (Previously ML400) 3.0 twin turbocharged V6, ranging in horsepower from 201 to 329. 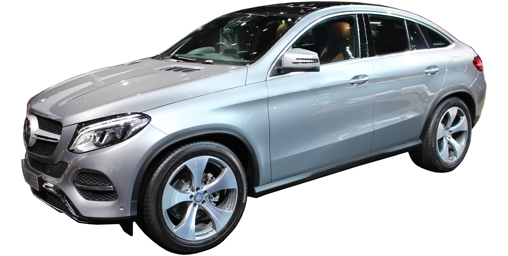 The AMG GLE63 brings the more powerful of the ML63's engines: 550 horsepower from a 5.5-liter twin turbocharged V8. A new AMG GLE63 S brings a new level of power: 577 horsepower. The newest powertrain belongs to the GL550e 4MATIC, a plug-in gas-electric hybrid which combines electricity with the 3.0 turbo from the GLE400 for a combined 436 horsepower and an electric range of about 18 miles. 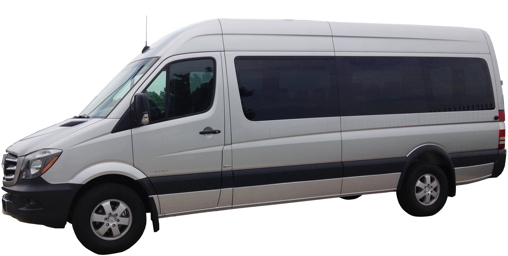 This new mid-sized entry to Mercedes-Benzes commercial lineup is now offered as an alternative to the at least 21-inch taller Sprinter vans. 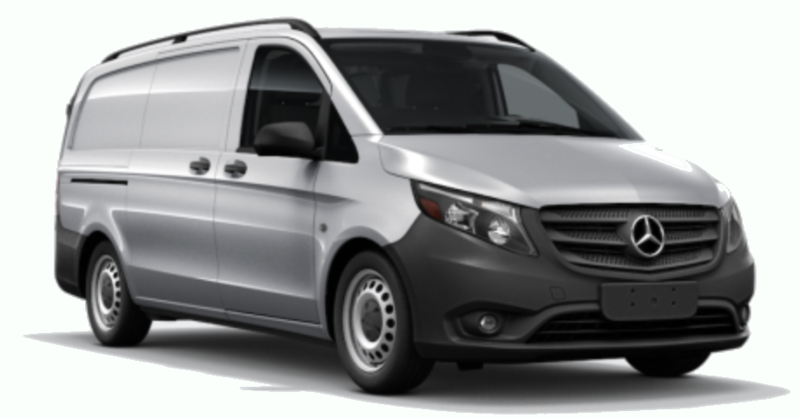 With the same 2.0 4-cylinder turbocharged gasoline engine as the CLA250, the Metris offers 208 horsepower, a 7-speed automatic transmission and rear-wheel-drive. 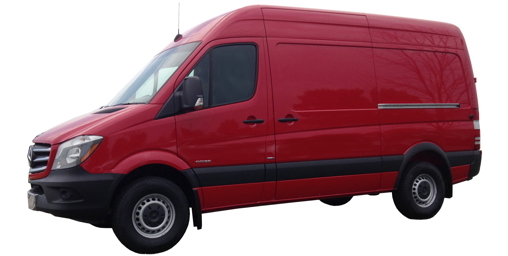 It offers significantly more cargo volume (186 cubic feet) than the Chevrolet City Express (122.7), Ford Transit Connect (103.9 - 128.6), Nissan NV200 (122.7), Ram ProMaster City (131.7), but significantly less than the Chevrolet Express (239.7 - 284.4), Ford Transit (246.7 - 487.3), Savana (239.7 - 284.4), or Ram ProMaster (259 - 463). A new S550e Sedan plug-in gas-electric hybrid combines electricity with a 3.0 turbo for a combined 436 horsepower and an electric range of about 18 miles. 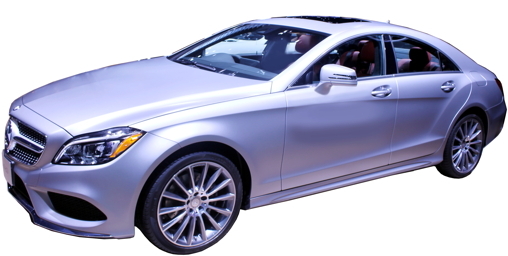 Like Obama, the 2016 SL-Class is a lame duck as most drivers wanting the uber-Roadster will wait for the all-new 2017 model previewed at the 2015 LA Auto Show. 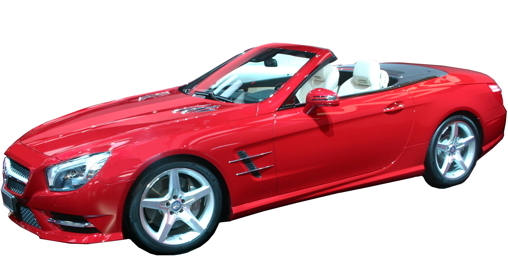 In the meantime, the SL550 picks up 20 horsepower for a total of 449. Ventilated seats are no longer standard, but part of Premium Package 1. This last year before a full redesign and a new name (SLC) sees a new engine and designation for the entry-level 4-cylinder turbocharged model. With the 2.0 turbo from the new C300, the SLK300 gets 40 more horsepower than the previous 1.8 turbo. Sadly (#SavetheManuals) it loses its manual transmission, the 7-speed automatic replaced with a new more efficient nine-speed. The SLK350 and V8 SLK55 AMG (nee. Mercedes-AMG SLK55) are here for one more model year. After this the top model will have a twin turbocharged V6. As the SLK300 gets automatic start/stop engine control this year, all 2016 SLKs have it, now. Even though mention of Pre-Safe Brake has been removed from descriptions of the Distronic automatic cruise control, possibly meaning the SLK will not offer a collision warning system or automatic braking system for 2016, owner's manuals for the SLK indicate it is now standard and renamed "Collision Prevention Assist Plus," as in many other Mercedes models. When Distronic Plus is ordered, the speed range of operation for the autonomous braking is raised to 124 MPH, up from 65 MPH without. The new SLK300 weighs 143 pounds more than the old SLK250. Part of that is from the standard automatic transmission. 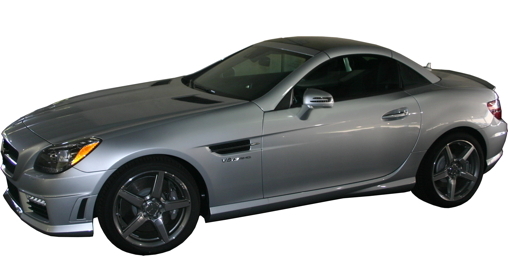 It weighs 88 pounds more than the SLK250 Automatic. The SLC-Class will replace it for 2017. Drift compensation is listed as new for 2016. This system utilizes the electrically assisted power steering to compensate for cross winds and help the driver stay on course. The base 4-cylinder diesel engine now offers an optional emissions package with Super Low Emissions certification (SULEV), making it the only diesel to do so.